This level has medium difficulty. For this level try to play from the bottom of the board where more candies are available to play and make special candy. 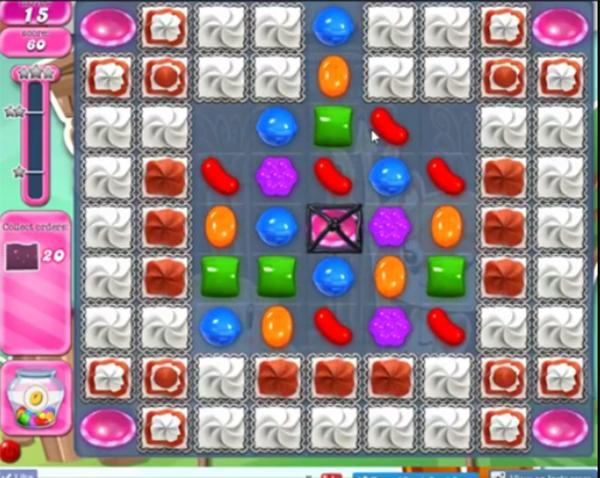 As you will play from the bottom the board you will get more chance to make special candy and try to make more wrapped candy to break them to reach the target. My version shows you have to get 100 green and 100 blue candies along with 20 wrapped candies. I do not see any help video showing this version? Please help.